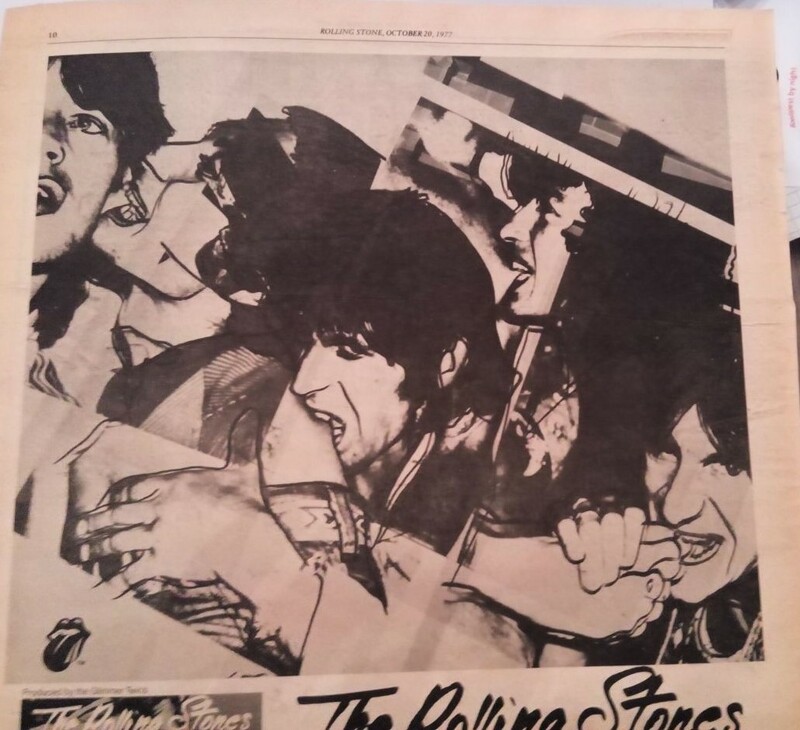 In the previous post I wrote about the poster of the Rolling Stones’ Love You Live album, that probably was given as a freebee together with the October 1977 issue of Interview magazine. 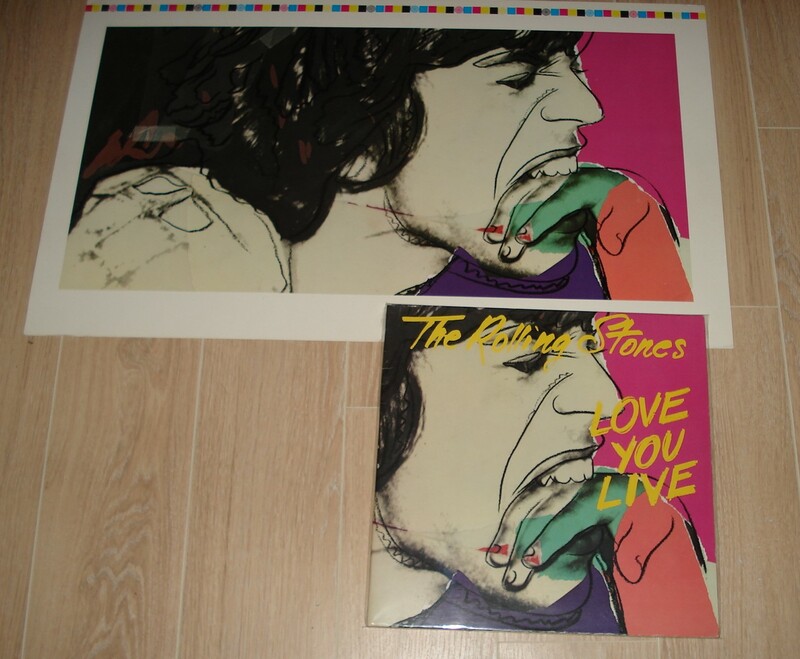 Some years ago I also was able to buy a set of printing proofs on stiff record cover stock, of the Love You Live cover art. In this stage the cover was still without Mick Jagger’s heavy lettering that Andy Warhol so disapproved of. 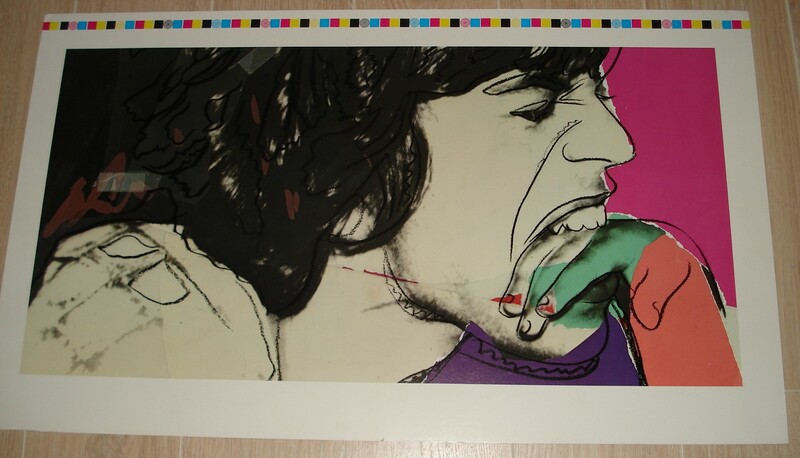 In Warhol’s mind it should have been an album cover that would show nothing but his portrait of Jagger. In the pictures below you can see the front cover proof together with the actual cover, so you can decide for yourself what was the best option. Similar album cover proofs have been for sale at the reputed rare book shop and gallery Peter Harrington Books in London. Price tag for the set was: £15.000. Of course for this price the prints were framed. According to Peter Harrington Books their set was “almost certainly the only set surviving that show the design as it was intended by Warhol, without the hand-drawn title and track-listing with which it was issued.” I’m sorry to have to say that, although there is no doubt that these proofs are very very rare, unique they seem not to be. The printing proofs for sale at Peter Harrington books. Framed. Price tag £15.000 for the set. 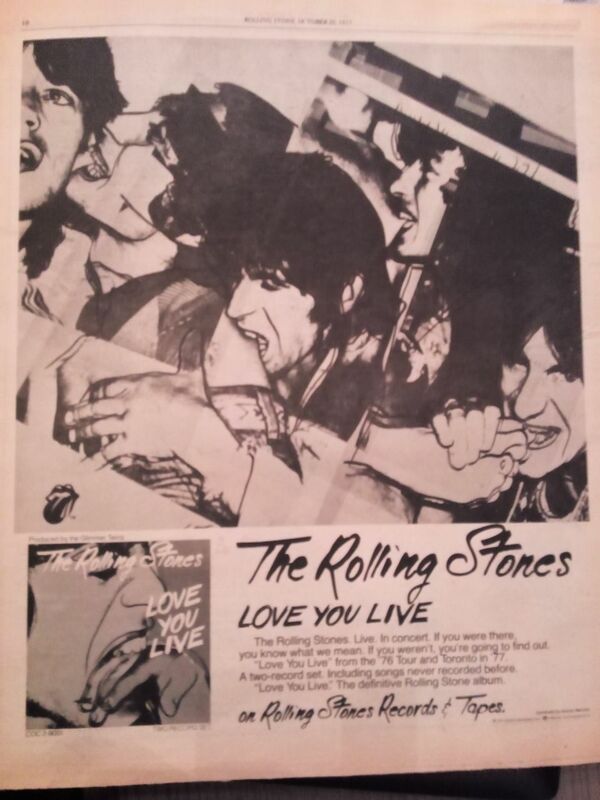 One more on the Love You Live cover: this ad was printed in Rolling Stone magazine, Oct 20 1977. 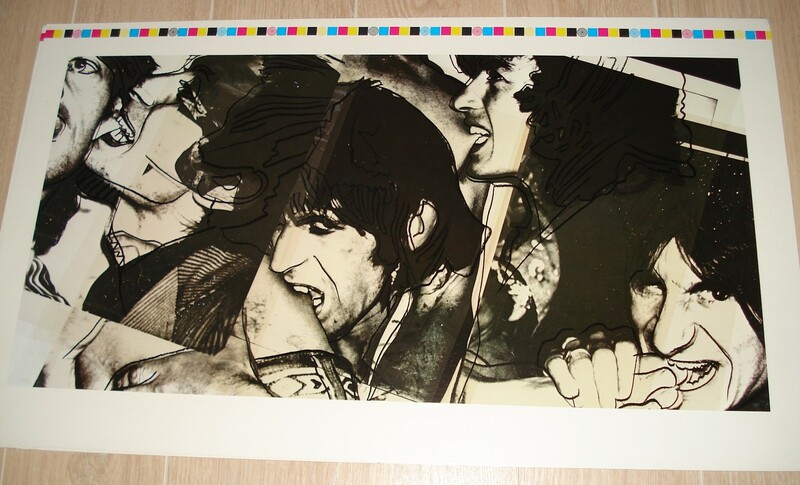 The ad shows the Warhol collage of the band members biting each other, that’s on the inside of the album cover. But the picture in this ad shows a much bigger portion of Warhol’s original collage than what was actually used in the cover. Look at Keith Richard’s left hand, or at the foot Ronnie Wood is about to have for a meal. Godd*mnit, you have so much cool stuff… I had no idea what printing proofs were. But now i want one. 🙂 The ad is very cool as well, there is a nice billboard of it all put together in a book that i can highly recommend – “Rock ‘n’ Roll Billboards of the Sunset Strip”.